A recent exchange on Twitter about the Wexford Savannah Axis project between Damian Shiels (of the Irish in the American Civil War website and book) and David Gleeson (Northumbria University - Newcastle and the Atlantic Irish blog) highlighted the recording of Irish counties of birth in the federal census for those living in Savannah, Georgia. A look at the 1860 federal census shows that there are a very large number of instances of the Irish county of birth being recorded: 2662. This is a substantial boon to anyone with Irish ancestry in Savannah. Given the nature of the research project (see previous post or click here) it is not surprising to see Wexford tops the charts. In addition to this, there are large representations from Kerry, Mayo, Cork, Cavan, Roscommon, Leitrim, Dublin, and Galway. 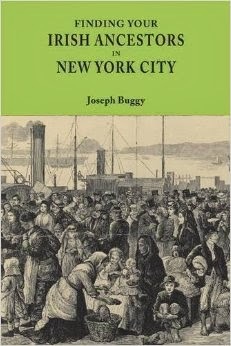 The PhD thesis of Edward Shoemaker, Strangers and Citizens: The Irish Immigrant Community of Savannah, 1837-1861 (Emory University, 1990), compiled all examples of Irish counties of birth in the federal census, as well as providing an in-depth analysis of the Irish community. This link will bring you to the Familysearch.org indexes for Chatham County, Georgia (where Savannah is) in the 1860. U.S federal census. All total numbers come from a manual tabulation from the Familysearch.org indexes. Small errors are quite possible.